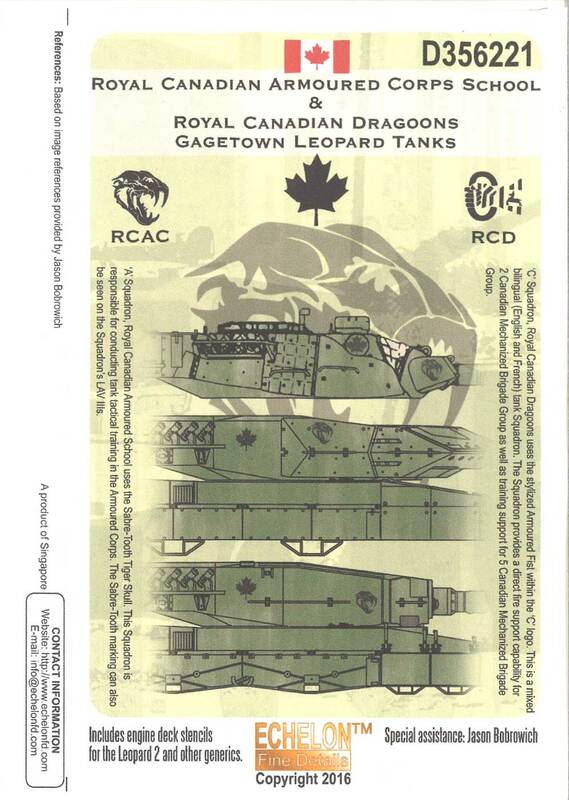 These decals are suitable for Canadian-based Leopard C2, Leopard 2A4 CAN and 2A6M CAN tanks. They are not intended for any machines that served in Afghanistan. Some of these decals will be appropriate for the new Leopard Workshop LW040 Leopard 2A6M CAN Conversion Set. Designed with the special assistance of Jason Bobrowich, the set includes markings for two specific tanks plus generic numbers to make a host of other tanks. Maple Leaf markings, A Squadron 'Sabre-Tooth Tiger'and C Squadron 'Armoured Fist' symbols are all here. 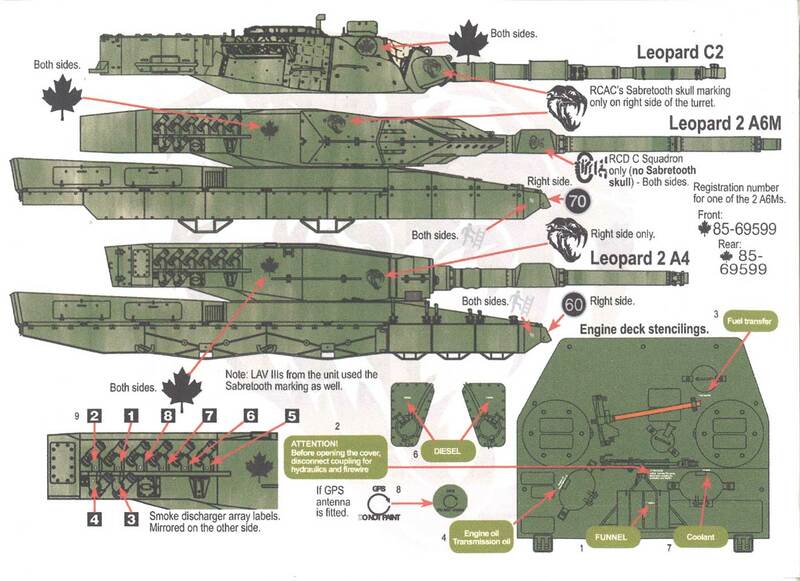 It also includes engine deck stencils for Leopard 2. Available from the Leopard Club Shop now.